Who Needs A Patio Heater? Nights can become chilly in Dubai, even in the warmer months. Itis good to huddle around a fire if you have a fire pit available to you, but what if you don’t? Should you just have to suffer through or go inside because it’s too cold? 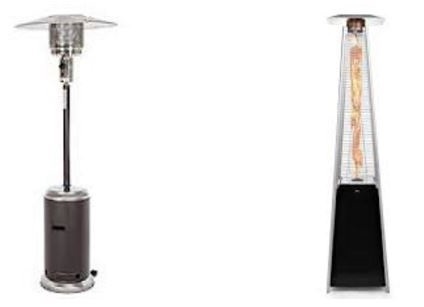 You don’t have to do either of those if you buy a patio heater. But why exactly would you need a patio heater? Think about spring time. An excellent temperature during the day and at night. it gets a little chilly. You’re hosting a dinner party, and you really want your guests to have a excellent time — in your backyard. Should you have to take the party inside just as it’s starting to get dark? No. If you buy a patio heater, you’ll be able to keep your guests warm while they enjoy the spring night. If you’re just spending time with the family, outdoors is a great way to do it. You can sit outside on the patio and talk about how your week has gone. Forget to bring blankets outside or to put on a heavy hoodie. If you buy a patio heater, that takes care of it. Depending on what kind of patio heater you want, it can get pricey. In my opinion, it’s well worth the price if you’ll get a lot of use out of it. You can buy them at our show room in Dubai if you wish. If you’re someone who loves spending time outdoors, a patio heater is a perfect thing for you to buy. You’ll stay warm and enjoy being outside. If you don’t plan on spending a lot of time outside, then a patio heater is not for you. An outdoor heater is not for someone who will only be outside when it’s warm, either. You won’t be getting your money’s worth, if you can’t actually enjoy having an outdoor heater. Outdoor heaters are a fantastic idea. If you like to host a lot of parties, spending time outside, or just talking to your friends and family. You can purchase them at various stores and sizes.we offer free delivery for Dubai and Abu Dhabi. Outdoor heaters are for those who enjoy being outdoors or spend a lot of time outdoors. Checkout more at websites for Available patio outdoor heaters Models in Dubai.